For those times when you gotta catch 'em all, Monster Sanctuary is hoping to win over gamers with the interesting setting while crowdfunding on Kickstarter. They've also recently announced Linux support. I actually spoke to the developer today about a Linux demo, they told me "Yes, I plan to release it in the next days :)". That's really good news! As much as I want to instantly trust developers, having a demo on other platforms and not Linux isn't ideal. It has 25 days to go and it's absolutely smashed the initial goal, to go on and smash through three stretch goals with the next closing in quickly. Quite amazing really to come so far in such a short time. I will be honest, I still have a special place in my heart for Pokemon. Enough that I personally pledged to Monster Crown which has a style similar to the originals. 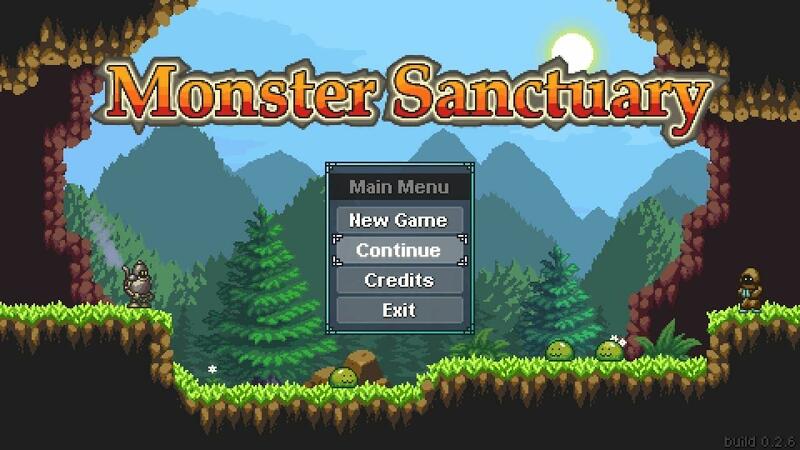 Once a Linux demo is out for Monster Sanctuary and I can see it works, I'm not sure I will be able to hold myself back from pledging to help another Linux friendly developer. Not just that they're going to do a Linux version, the game itself does look great! I'm hoping they hit the 100K goal to have some online play, that could be awesome. Want to find out more and possibly even pledge your monies? Check it out on Kickstarter. I love the concept of Kickstarter. Whenever someone mentions that they are supporting a Kickstarter project, I am jealous; but not jealous enough to give them my credit card number. I have one friend that I support on Kickstarter. To accomplish this I have to go to the store and purchase a VISA Gift Credit Card for the amount. This is more work than I am willing expend for anyone other than an IRL friend. This project is different, it allows you to use PayPal to support their project! This is not through Kickstarter, but through the Moi Rai Games website. Very smart! In addition, the Kickstarter page and the website have a polished look and feel. This project got my backing.